This will be the last post in this series unless something changes dramatically with Cliven Bundy and his ranch. When I first started on this series, I did so out of skepticism. Several of my friends and acquaintances in Clark County told me they were heading to this big protest outside of Mesquite because a cattle rancher was exercising his property rights and the government was taking his land away. Once I started to dig into the surface, I realized there was a bit more to it than that. My first instinct once I dug into the issue a little was that the rancher was wrong - he was renting land from the BLM, the BLM decided they wanted to use the land for something different, they went to court, he lost. It seemed at first glance that this was a case of a welfare rancher that felt entitled to public resources, and he was throwing a temper tantrum because the government was finally cutting his subsidy. I told my friends in Clark County as much. I also still think there's some truth to this. It doesn't come close to telling the full story, though. My friends, not surprisingly, told me I was wrong and that I needed to look deeper into the issues, and so I did. The "Cattlemen and Libertarians" series was, in effect, a running journal of my discoveries while researching the history of public land ownership near Bunkerville. When I first started, I thought I would write a blog entry, dig a little deeper than the news was willing to, then call it a night. It didn't take long before I realized there was enough material to potentially write a graduate thesis, if I was so inclined (I'm not). If someone is aware of an academic paper tracing how colonial Spanish and Mexican land law affected public land policy and economic growth in the United States, please tell me about it. If there isn't such a paper floating around somewhere, find a History grad student somewhere and tell them to get to work. I guarantee them it'll be infinitely more interesting and compelling than a lot of historical work done these days. I'll even buy a copy of the journal containing the paper if it's not ridiculously expensive. Heck, if nobody steps up in the next couple of months, I might take a crack at it myself. Researching these articles was that fun. Mr. Bundy's protest is in the tradition of the Sagebrush Rebellion, which also produced protests in Jarbidge and an amendment to the Nevada Constitution since they first flared up in the 1970s. This flareup is due to the enactment of the Federal Land Policy and Management Act in 1976, which required the Bureau of Land Management to radically alter how it managed public lands and focus less on economic growth and more on environmental stewardship. This was a pretty serious change of focus since the federal government owns 86% of Nevada. The federal government owns 86% of Nevada for a number of reasons. First, the federal government, by default, was the initial owner on all lands in unclaimed territory starting with the Land Ordinance of 1785 and the Northwest Ordinance, both of which predate the ratification of the US Constitution; this was done initially to amicably settle overlapping claims by the original thirteen colonies. This precedent remained true after the Treaty of Guadalupe Hidalgo, after which the federal government claimed all lands not previously titled by the Mexican government to private individuals. Second, the federal government had a longstanding policy of supporting yeoman farmers and agriculture, a policy stemming from demographic reality and the utopian ideals of certain Founding Fathers; Nevada's climate in general, and Southern Nevada's climate in particular, does not support crop agriculture except in small, narrow bands around certain streams and rivers. Consequently, most of the land was never homesteaded while the Homestead Acts and the Desert Lands Act were in full swing. Finally, mineral extraction under the Mexican system, which was inherited from the colonial Spanish Ordenanzas de Mineria and relied on leasing public mineral rights over purchasing or assigning private mineral rights, was significantly more convenient for miners and government alike, at least as long as the various layers of government regulating public lands were amenable to working with miners, so mining interests were rarely offered the opportunity to purchase public land. The reason Nevada doesn't own the public lands in this state is because the federal government never ceded ownership in unclaimed public lands upon statehood to any new state. Though Pollard's Lessee vs. Hagan created the Equal Footing Doctrine, which declares that all states should start on the same footing, without any conditions assigned to statehood that were not applied to the original thirteen colonies, it also openly acknowledged the federal government's ownership of public lands in Alabama while simultaneously stressing that, Constitutionally speaking, the federal government has ownership of the land while the state the land is contained in has jurisdiction of the land. This means, for example, that, should the federal government legalize marijuana, Utah can still enforce a statewide prohibition on marijuana within federal lands in Utah because Utah's jurisdiction is supreme. That said, the federal government did grant the State of Nevada some land; however, Nevada was not a particularly conscientious steward and has long since frittered it away. It's true that Nevada was granted less land than other desert states, but there were a couple of reasons for that - first, Nevada traded its full allotment of four million unsurveyed acres for two million acres that had been previously surveyed, and secondly, it achieved statehood nearly fifty years before its neighbors so its treatment was consistent with the treatment received by the older, wetter states to the east that had previously achieved statehood. If anything, Nevada's treatment upon statehood was a little too consistent with prior states, which led to changes in federal policy when the other desert states achieved statehood. Finally, I pointed out that, due to the lack of water in this state, a lot of Nevada is economically worthless unless you just want to have a bunch of empty land to stare at from your castle - which, realistically, you're probably getting that without paying property taxes or BLM fees these days - or unless you're pulling minerals out of the ground, in which case it'll be near-worthless once you're done. If the land were privatized, there would be no confusion. True, more or less, though private landlords disagree with renters all the time about various things and vice-versa. Though I agree that we should definitely push for this, we also have to acknowledge that a lot of Nevada really isn't worth owning, except as perhaps vanity parcels ("I own land! Go me!"). As long as that's true, unclaimed land has to be "owned" by someone, if only to establish who is responsible if something happens on the property and to establish under what mechanisms remaining unclaimed land can be rightfully claimed (flag planting, homesteading, etc. ), and how much of it may be claimed at a time. Your article seems to assume that the government's "ownership" of that land is legitimate. How can the government have property rights? Answering the second question first, the government has property rights because the government says it has property rights. Since it's responsible in our current system for establishing land patents, which are the foundation of common law titles, it gets to do this pretty much by default. Regarding the "legitimacy" of government land ownership, there are people far more thoughtful and better versed than I am that will happily discuss that at length. Personally, speaking as an IT Manager, I'm well versed on the difference between the World of Is and the World of Should Be. In the World of Should Be, the government perhaps shouldn't even exist, and if it must, it shouldn't actually own any land because government land ownership is a conflict of interest - the entity responsible for managing land titles should not, in turn, have land titles of its own to manage. Also, in the World of Should Be, the Native Americans shouldn't have lost their aboriginal title to their lands to European colonists without being properly compensated for them. However, in the World of Is, governments have been owning land in the New World since European explorers first discovered the New World, and, if I knew anything about Aztec or Inca land title practices, I'd probably find their governments owned land, too. Bundy's land is getting seized for fracking, isn't it? No. Fracking requires water, and every drop of water in Southern Nevada is claimed by the Southern Nevada Water Authority, one of the most politically powerful organizations in Nevada. If SNWA can claim water from White Pine County*, which is over 200 miles from Las Vegas, a few hundred thousand acre-feet of water near Bunkerville doesn't have a chance. Bundy's land is getting seized to build solar panels, isn't it? The Dry Lake Solar Energy Zone is roughly located in a triangle around where Interstate 15 and US 93 meet. This is roughly sixty miles west of Bunkerville and the contested lands in Gold Butte. It's public land, so, since everyone has a claim to it, that means everybody can do anything on it! That's not too far off from the attitude most people had regarding public land, at least until fairly recently. Even as far back as 1934, though, it was clear that the tragedy of the commons was becoming a very serious issue on public lands and something needed to be done. The solution chosen was to manage competing interests in public lands against each other in a way that would ensure those same choices could, theoretically, be made again the following year. Since then, another interest expressed against public lands by the public has been environmental protection - this has introduced additional "claims" by "part owners" of the land that must be balanced against the rest. The trouble with that is Nevada's population is just shy of 3,000,000; conversely, the United States has over 300,000,000. 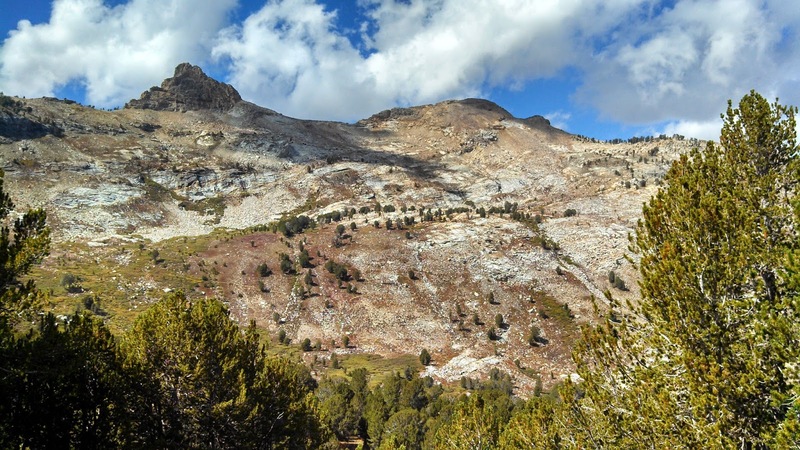 Consequently, with increased attention toward the state of Nevada's lands from people far, far, far from Nevada, it's only natural in a majoritarian system that Nevadans are losing their voice regarding the proper role of public lands. Long story short, land and its containing resources are scarce, even in Nevada, and it's physically impossible for everyone to do everything that everybody wants to do with each piece of land in Nevada. So, compromises are being made. Of course, better, more productive, more peaceful compromises would probably be made if we privatized the public lands. Is Cliven Bundy right? Are the protesters doing good work? Cliven Bundy's protest is the best opportunity libertarians have had in years to discuss public land policy. That doesn't mean it's a perfect opportunity - they don't exist. That doesn't mean libertarians are making the wisest use of this opportunity possible - that's impossible anyway. However, speaking personally, if Cliven Bundy hadn't taken his stand, I wouldn't have taken the time to research the contents of these articles and learn something about the history of public lands and how they're managed. I'm also certain I'm not the only one. So, I'd call his protest an unqualified "net good". Why won't judges overturn this crap**? Judges are like Dungeon Masters - they're amenable to reason but they won't let you break the game, no matter how good of a rules lawyer you are. No matter how good of a case you make, no matter how good of a lawyer you have, no matter how strong your grasp of the Constitution is, no judge will ever wipe out federal ownership of millions upon millions of acres of public land with the stroke of a pen. The reason for that is judges are people, they like their jobs, and Congress or superior judges would overturn the judgment anyway. To get a better feel for this dynamic in action, check out Megan McArdle's retrospective on the Bush vs. Gore court case here, here, and here. With that, thank you all for sticking around and check back often - there are plenty more posts where the past few came from, and next time, they won't be about old cattlemen in the desert. * This claim has, thus far, been successfully contested by opponents of the water grab in Ely and Utah. Stay tuned. ** "This crap" being the set of political or economic activities that a particular individual doesn't like. Here are my thoughts on the situation from April 15th. https://www.youtube.com/watch?v=PzDaO6uJjfc We must deal with the fact that lands ceded to the State Of Nevada by the act of May 5th 1866 may have a different status than those that were ceded back to the US by the enabling act. I have started reading Wayne Hage's book "Storm over Rangeland" and think that you would find it most interesting! It may help change your opinions about "what should be" ............. we most agree on "what is"
BTW the treaty of Guadalupe Hidalgo in both of its forms is widely available on the net. Can you find any description of the lands ceded, or, who they were ceded to, within the four corners of the contract? "The boundary line between the two republics shall commence in the Gulf of Mexico, three leagues from land, opposite the mouth of the Rio Grande, otherwise called Rio Bravo del Norte, or opposite the mouth of its deepest branch, if it should have more than one branch emptying directly into the sea; from thence up the middle of that river, following the deepest channel, where it has more than one, to the point where it strikes the southern boundary of New Mexico; thence, westwardly, along the whole southern boundary of New Mexico (which runs north of the town called Paso) to its western termination; thence, northweard, along the western line of New Mexico, until it intersects the first branch of the River Gila; (or if it should not intersect any branch of that river, then to the point on the said line nearest to such branch, and thence to a direct line to the same;) thence down the middle of the said branch and of the said river, until it empties into the Rio Colorado; thence across the Rio Colorado, following the division line between Upper and lower California, to the Pacific Ocean." The remainder of Article V further defines the redrawn boundary between the United States and Mexico. Article VIII deals with Mexicans that already lived in the ceded territories; as I mentioned in previous articles, the United States made it a habit to ignore that provision. Article XII is where the United States pays Mexico in exchange for the territory. Since the treaty was between the government of the United States of America and the government of the United Mexican States, it's safe to assume that the lands gained under Article V, minus those exempted under Article VIII, were ceded to the government of the United States of America since no other counterparty was present. As for "what should be", I think "what should be" would be either the complete privatization of all public lands or the return of those lands to the Native Americans (or some combination thereof). Either way, I find the idea of land ownership under the governments of the United States, the State of Nevada, Clark County, or any other governmental entity morally and philosophically repugnant. Since that's not happening anytime soon, it looks like we'll be dealing with the BLM for a while longer. Another aspect of this situation is the fact that an unelected official (BLM) has the authority to take private property rights (water), by operation of regulation. This type of taking (5th Amendment) is more worthy of oligarchy than republic. See http://www.icleiusa.org/ Clark County is signatory to the ICLEI US) it is a method to make an end run around the Constitution to effect United Nations agenda.